If you grew up playing the Nintendo handheld gaming consoles then you would love to play those old retro games on your iPhone and iPad now. It is possible with the help of Nintendo emulators that emulates the system allowing the iOS users to play their favorite Nintendo games on iOS devices. If you have already used GBA4iOS emulator then here are the best GBA4iOS alternative apps for iOS. GBA4iOS app is one of the most popular emulators to play Nintendo classic games. It has a simple design and offers on-screen controls for all the available games. You can also play some music in the background while playing the game. It also works on big size iOS devices like the iPad which is ideal for gaming. The app also supports cheat codes using which you can pass the levels with ease. However, GBA4iOS is not immune to some shortcomings. The app has shown compatibility issues with some versions of the iPhone or iOS in particular. 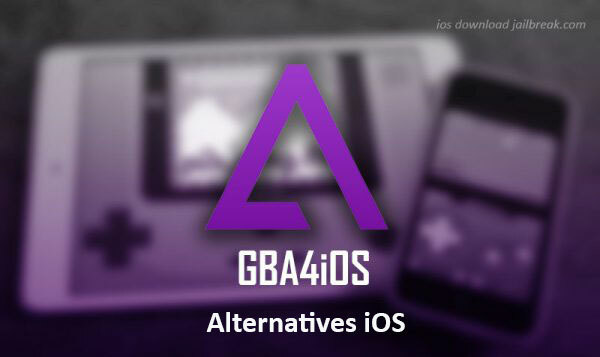 As a result, we have a look at the alternatives for the GBA4iOS app. Here are our handpicked GBA4iOS app alternatives for iOS. RetroArch is one of the best alternatives for GBA4iOS app. It is a well-made emulator that lets you play classic games on the iPhone and iPad. The user interface is easy to use, and you can get hold of all the settings in no time. You can also use the RetroArch recording feature to record the gameplay. You can download RetroArch from the developer website here. Follow the instructions given on the site to install RetroArch on iPhone and iPad. As the name suggests VBA (Visual Boy Advanced) is a popular Game Boy Advance emulator that is equipped to run game boy advance games on the iOS devices. The emulator offers features such as support for cheats, screen filters, and game recording. VBA is said to be the most stable emulator ever made for the iOS platform. You can play games made for Super Game Boy, Game Boy Color, and Game Boy Classic. The only negative thing about the emulator is that the emulator has not been updated after 2005. OpenEmu is an open source emulation app available for the iOS device. The OpenEmu supports game ROMs from several consoles including Nintendo NED, Nintendo 64, Nintendo DS, Game Gear, Game Boy Advance, Game Boy and more. Happy Chick is yet another free emulator that can be downloaded on the iPhone and iPad to play old classic retro games. The emulator can run a number of game formats and is among the most organized game emulators. Emulator on iOS for iPhone and iPad. If you are explicitly looking for Nintendo game alternatives, then have a look at NDS4iOS Emulator, Nintendo 64 Emulator, and Nintendo DS Game Emulator.